New mom....1st marriage....very anxious.... Budget $2000.... Where do I start? Lots of congratulations to you both in becoming parents and also your engagement. A $2000 wedding for 100 guests is possible you will just need to be very careful with your budget. 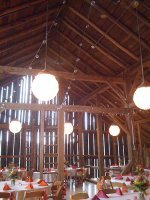 Start by finding your ceremony and reception venue. To keep within your budget you will need to look at either catering for the wedding yourselves or look at hacing a cake and Champagne afternoon reception, or a bbq or maybe a brunch if you have a morning wedding. 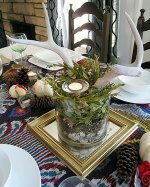 The good thing about having your wedding so soon after Christmas is that most of your guests probable won't want a big sit down meal! When you have the costs for the venues you will need your dress and the suit for your groom. You may want to reduce down the number of bridesmaids and groomsmen as the extra outfits will take a big chunk of your budget. You could always ask if they are happy to provide their own. When you have your wedding dress cost it gives you a better idea how much money you have left for everything else. Found this lovely wedding invitation kit that would fit with your theme and would provide you with 50 invitations. You will want wedding rings and the cheapest I have found is on Amazon . 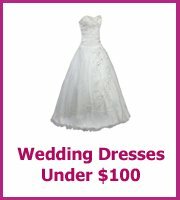 If you have money left in your budget have a look at wedding cakes at your local store such as Walmart. You can always personalize with your wedding colors. 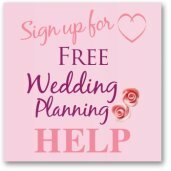 Hopefully this will get you started with your wedding plans! Good luck!